On Tuesday we had our first session at the Mind Lab. We learned about animation using qstopmotion. This is a free download and is very easy to use. Our tutor was Josh and he talked about making a storyboard. We used props and play dough to make simple story. We were very pleased to have something to share after our session. We are looking forward to seeing what we will develop next week. While this blog post comes from America the message is equally pertinent to New Zealand. The writer is a clinical psychologist, advocate, consultant and parent of gifted children. 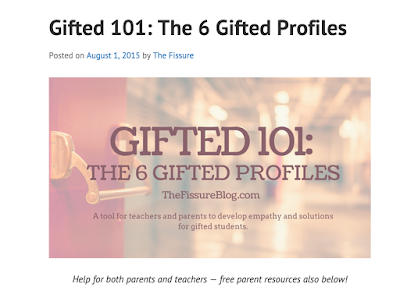 It is a fantastic summary for parents of gifted children. This is interesting, recognise anyone? Check out this link. Click on image to go to post!